My own personal Day 1 at CeBIT ended on a low … I walked 2 km through a cold Hanover evening to find somewhere (anywhere) that was screening the Manchester United vs Real Madrid game. Found it at “Tom’s Bowling Alley” on a channel that hopped irritatingly between the Man U game and another one involving Dortmund. I gave up at half-time – didn’t see the controversial referee’s decision that resulted in my team being knocked out of the Champion’s League. Anyhow – none of this has anything to do with CeBIT! Before I left the South African Pavilion yesterday afternoon I was interviewed by Sudi Mnette for the Swahili service of “Deutsche Welle” – the German radio station. He was puzzled that there seems to be no African countries represented at CeBIT. He was very excited to see South Africa here and asked me a lot of questions about ICT in Africa. I stressed the importance of mobile technology and how it is spreading like a bush-fire through our continent. My conversation with Sudi left me feeling that a stronger African presence at future CeBITs would add a lot to the picture of the international ICT industry that emerges from the event. Part of my intention in writing this blog is to explore whether participation in CeBIT adds value to the South African ICT sector. I spoke to some of the exhibitors on the SA Pavilion yesterday about this. Kees Snijders is here for the first time. His company “Flickswitch” has been in business for just over 5 years. Their main product, called “SIMcontrol”, is a web-based system that allows companies and organisations with large numbers of pre-paid SIM cards in the field to manage them. Flickswitch has built a thriving business around this technology. They employ 7 people, operate from offices in Cape Town and Joburg, have 300 customers and an annual turnover of R15million. 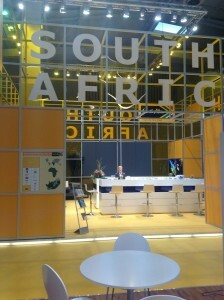 Kees is at CeBIT to look for potential partners that would help Flickswitch expand into Africa, Europe and elsewhere. This is the first time he has participated in one of the dti incentive programmes and has – so far – been impressed. He thinks the SA Pavilion is magnificent. He has also found that there is great value in walking around CeBIT – seeing what other companies are doing and getting a sense of what’s out there. He would definitely want to come back in future years. Another CeBIT first-timer is Tsakane Shilubane. Her company “Shiluba Tsaka Productive” offers IT support services and software development. She is using CeBIT to gain a deeper understanding of the international IT scene and to look for partners and investors. She will definitely come back next year. She feels that having been at CeBIT for the first time will allow her to prepare better for future visits. 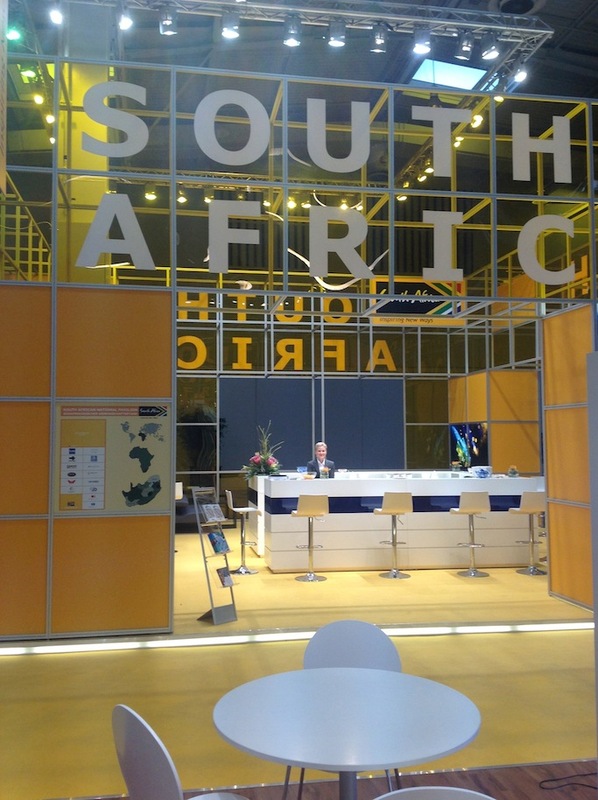 And as for my overall impressions so far – walking around some of the exhibition halls yesterday I’m SO impressed at how wonderful the South African National Pavilion is!! It is definitely one of the best around. The dti have done our country and our industry proud!! I’m glad to see that Barry’s Blog is alive again after so many months – thank you, Barry, for your newest report! As you mentioned my homeland, Germany: Somewhere I have read very recently that the so-called “IT-Industry” (whatever this vague term may include) is now the 2nd-biggest German industry (in people? in money? – I don’t know), behind the classical German machine-construction (mechanical engineering) and before the classical automobile industry. Moreover, some 10-thousands of job positions seem to be open for skilled Informaticians in Germany, for which the German universities cannot “output” large enough numbers of graduates per year (though – alternative explanation – maybe the salaries offered are not high enough such that the jobs are no longer attractive? – I don’t know). Simple programmers and “code monkeys”, however, do not seem to be that much needed any more; they seem to have been out-sourced to India or China where there are millions of them. It is as we have been told at university when we were young: “The difference between an Informatician and a Programmer is like the difference between an Architect and a Brick-Layer”. All right then – those were my 2 cents worth of comment. @ BARRY once again: Further enjoy Hannover – I know the town quite well because I have relatives living there – if you need any cultural hints or tips for sightseeing, then send me an eMail and let me know.